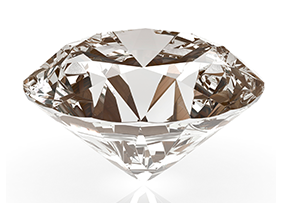 Diamond Education - Learn all about diamonds at Shaftel Diamond Co.
Let’s Shine Some Light On Diamond Education. Want to take some of the mystery out of buying diamonds? We’ll give you the highlights and explain the terminology. You don’t need to be a gemologist to follow along and we think you’ll enjoy the process when learning about diamonds. We’ll keep it simple, provide a little diamond education and offer some helpful tips and basic facts. And remember, a jeweler you trust will be the most important factor in helping you make your choice. That said, diamonds are fascinating and buying one should be exciting and fun. So let’s start at the beginning. You’ve found the love of your life. You’re ready to make the leap. The good news is you don’t need to be certified to make an informed choice with a little diamond education. Did you know that the shape you choose for your center diamond has an impact on how your ring looks and feels? Consider the benefits of each of these shapes when you’re choosing. Which one matches your style? Round— the most popular; cut for maximum brilliance. Princess Cut — the most popular fancy-shape; has a great deal of sparkle. Asscher Cut — an elegant square shape with blocked corners that make diamonds appear octagonal. Emerald — rectangular with parallel facets and blocked corners; produces a hall-of-mirrors effect. Radiant Cut — a combination of the emerald cut and the sparkle of the round brilliant; typically with blocked corners. This one may seem fairly self-explanatory. But there are a few things you need to know. Carat weight is a measure of a diamond’s weight, and a reflection of its size. So two diamonds of slightly different sizes may have the same carat weight. Size also depends on how evenly weight is distributed and the quality of the cut. 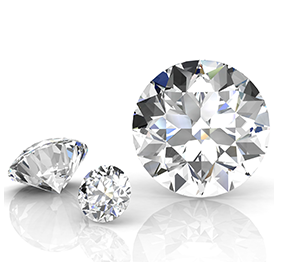 So two diamonds with the same carat weight can vary greatly in value, depending on the color, clarity and most importantly, the cut. It’s really a matter of deciding what matters most to you, size or quality, and then finding the best combination of size, color and clarity for your budget. Part of the wonder of diamonds is the fact that they are created by incredible natural forces. In fact, natural diamonds are formed by tremendous heat and pressure deep within the earth. Understandably, the powerful process can result in internal “inclusions” and external “blemishes.” These are simply fancy words for imperfections, or characteristics, as we like to call them. 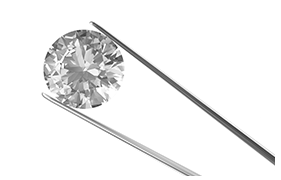 A diamond’s clarity is determined by the number, size, nature and position of its inclusions and blemishes. No diamond is perfect, but the closer it comes to perfection, the higher its value. A “flawless” diamond is rare. Inclusions seldom affect a diamond’s beauty, although they do affect price. Just because a diamond looks white doesn’t mean it’s colorless. In fact, the white diamond spectrum ranges from totally colorless to light yellow. The amount of color in a diamond is signified with a special lettering system that ranges from D to Z. The letter D is awarded only to rare, totally colorless diamonds. In other words, the more colorless a white diamond is, the greater its beauty and value. * A colorless diamond can be graded D, E or F. Less than ¼ of 1% of all the diamonds in the world fall into this category. 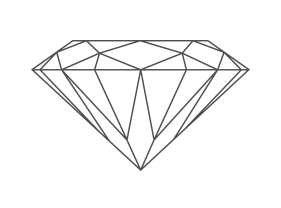 * A near colorless diamond can be graded, G, H, I or J. The majority of diamonds sold in the industry are represented by one of these grades. Colored diamonds, such as pink, blue, chocolate or bright yellow, are also available, but they are rated on a different scale than white diamonds. Cut expresses the diamond’s natural sparkle and has the biggest impact on your diamond’s appearance and beauty. That’s why we suggest you invest in a quality cut and proportioned diamond first and foremost. We’re not saying that carat, clarity and color are unimportant, but sacrificing sparkle for a larger diamond, or one that’s color can only be distinguished under magnification isn’t always the best choice. In spite of the importance of cut, there weren’t any standardized criteria for cut grading before the mid-20th century. When criteria were finally standardized, it included brightness, fire, scintillation, weight ratio, durability, polish and symmetry. A diamond cutter is trying to maximize each of these to make the diamond more rare and valuable. Needless to say, it takes a master level of craftsmanship to achieve maximum sparkle. So what’s best? A diamond cut with the ideal proportions for its shape. That diamond will reflect more light out of the top, resulting in higher levels of fire and brilliance. And the opposite is true for a poorly cut diamond with less than ideal proportions. It will allow light to escape out the bottom and sides, resulting in a dull, dark appearance. In short, try to pick the diamonds with the best proportions you can to maximize the diamond’s sparkle and beauty. Visit Shaftel Diamond Co.’s Expert Diamond Buyers Guide for insider knowledge and tips.